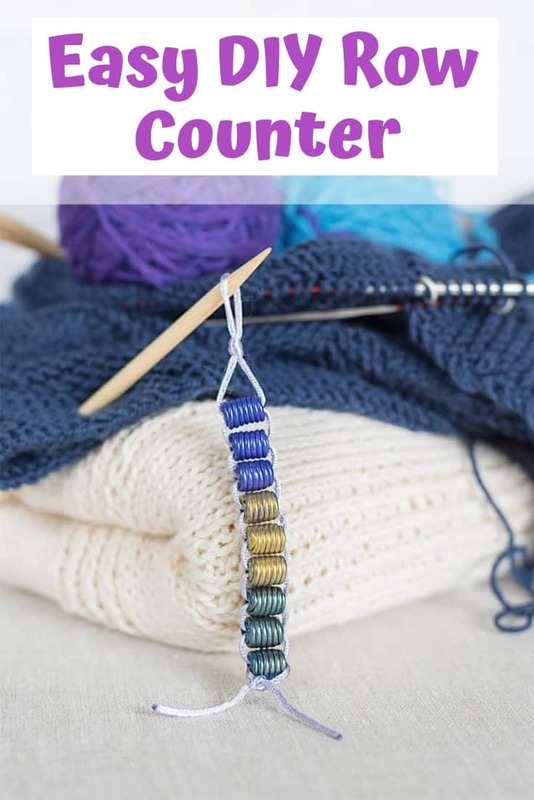 Discover how to make this super easy DIY row counter for crochet or knitting using materials you already have at home! Sometimes one thing just leads to another and then all of a sudden you find yourself trying to knit a baby blanket even though you live in the tropics and are a basic knitter, at best. It’s kind of a long story that began with making a crochet baby ‘pod’ photo prop, included my husband deciding that he wanted to visit the local yarn store, and ended with me deciding I wanted to go back to the yarn store for myself. I was merrily knitting along one day when I realized the design looked a little off…because I’d accidentally knit two additional rows. I didn’t have a row counter and was trying to make tally marks on paper, but apparently had forgotten to make those marks a couple of times. Womp-womp. Me, being me, decided that surely I could make something to serve as a row counter and started searching the internet. Most of the tutorials I found for DIY row counters were either far nicer and more elaborate than what I had the supplies for (think nice looking bracelets) or not very well explained/photographed, which is why I decided to share this tutorial for a super easy DIY row counter for knitting and crochet! 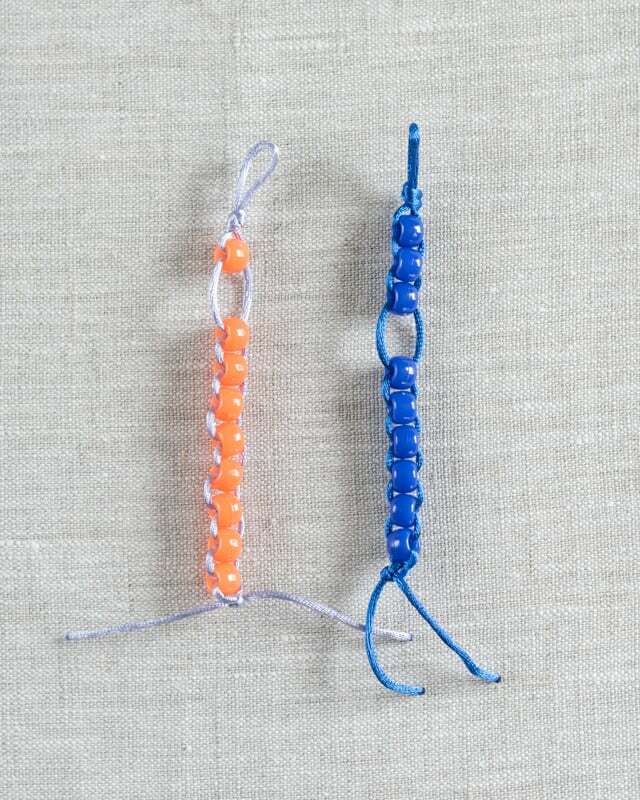 To start off, I made two very basic row counters using what I had on hand – plastic pony beads and rattail cord. You need larger beads to make this row counter and the plastic ponies were all I had. I really don’t like the look of plastic pony beads, so a couple of days later I pulled out the polymer clay and made some nicer looking beads. 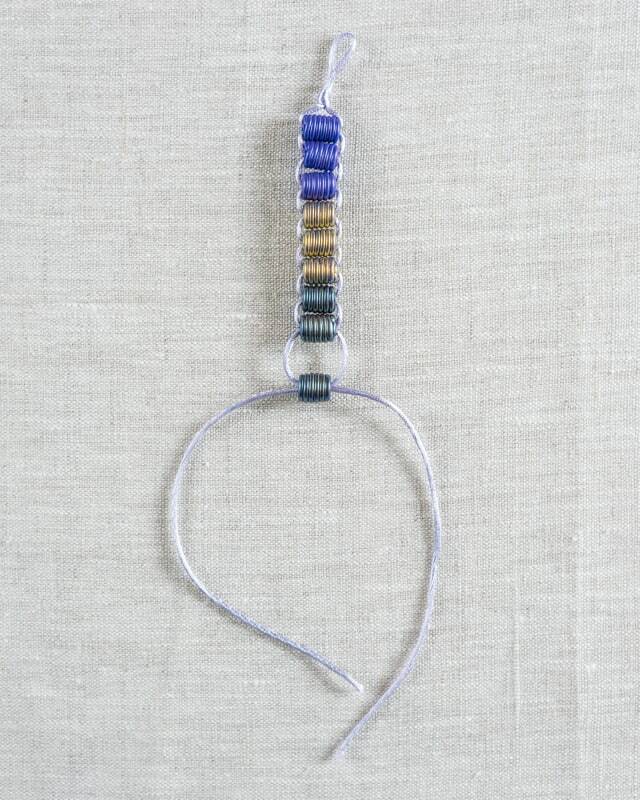 You can use whatever medium or large beads you’d like, but make sure your cord can pass through each bead twice. Additionally, while I’m normally a huge fan of natural fibers, something synthetic like rattail works really well for this project because it’s smooth and won’t fray as badly with use over time. Beads! 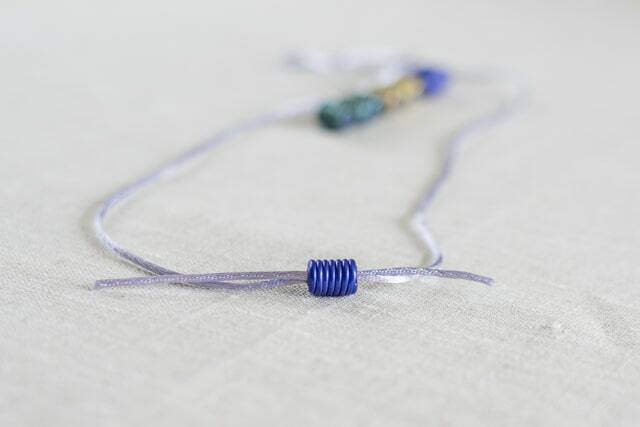 Use beads with a large hole so you can thread them on your cord. 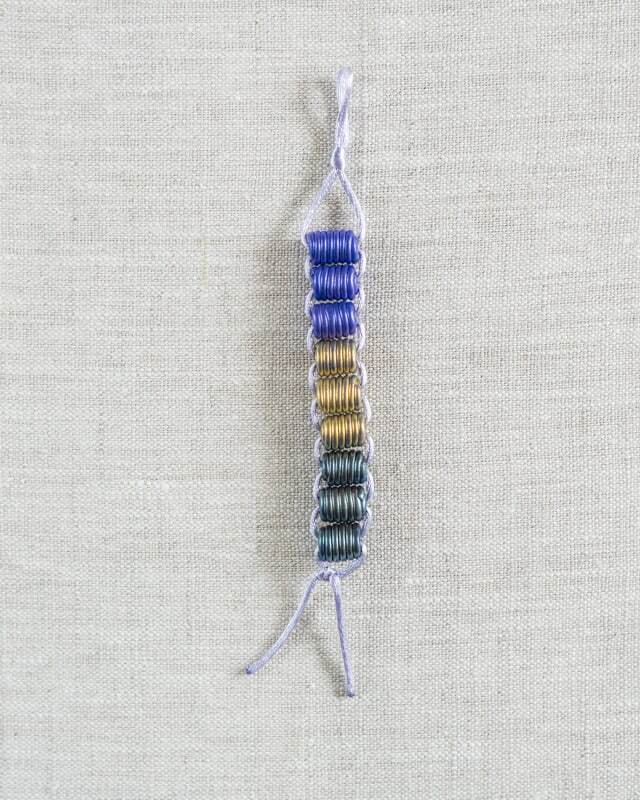 You can make each strand as long as you’d like, but I recommend making two strands with 9 beads each. This will allow you to count up to 99 rows. Make the two sets of beads somehow distinguishable so you can tell your 10s from your 1s. 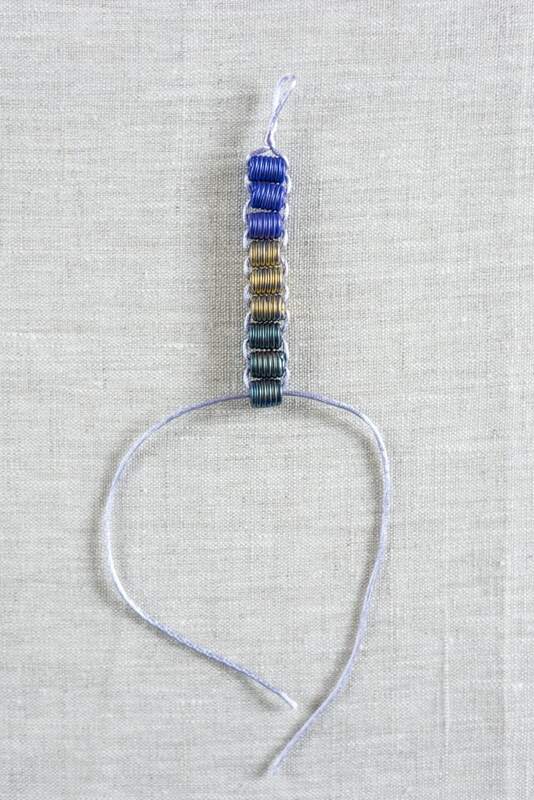 You could use different colored beads, different cord, or differentiate them in some other way. Cord or ribbon. The exact amount depends on the beads you’re using, but I used about 2 feet of rattail for each of the row counters I’ve made so far. A lobster clasp – optional. If you added a lobster clasp to the top loop, you could easily clip your row counter(s) onto projects or project bags. Cut about 2 feet of cord. 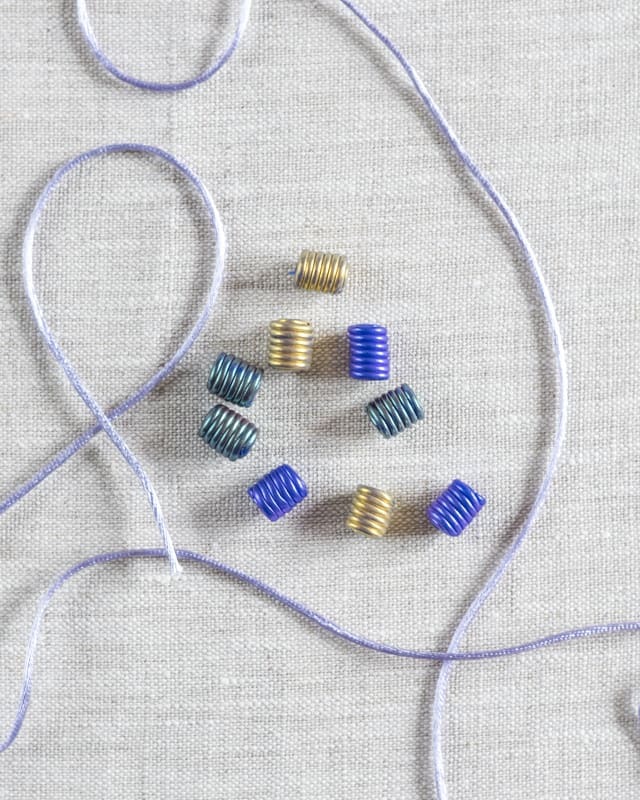 If your beads are very large, go ahead and cut a little bit extra – you can always trim some off! 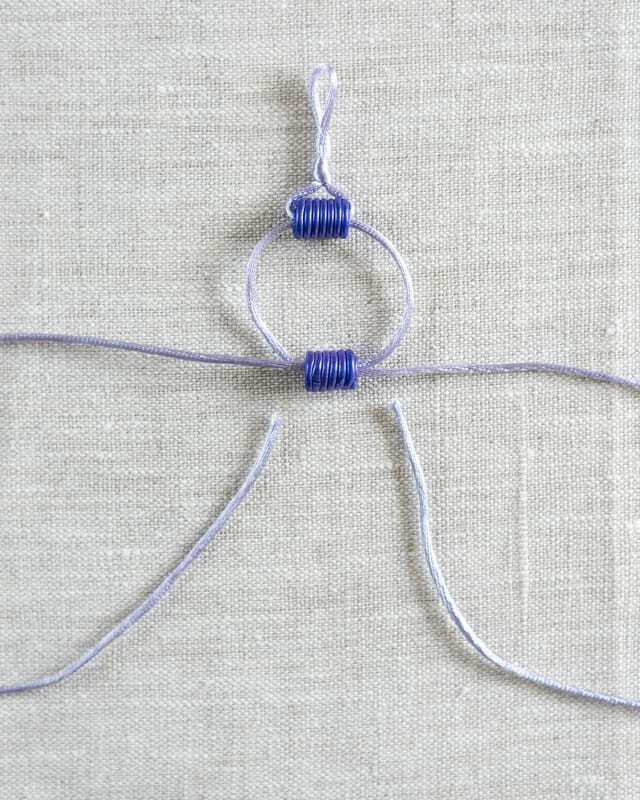 Center the cord and tie a knot to form a loop. 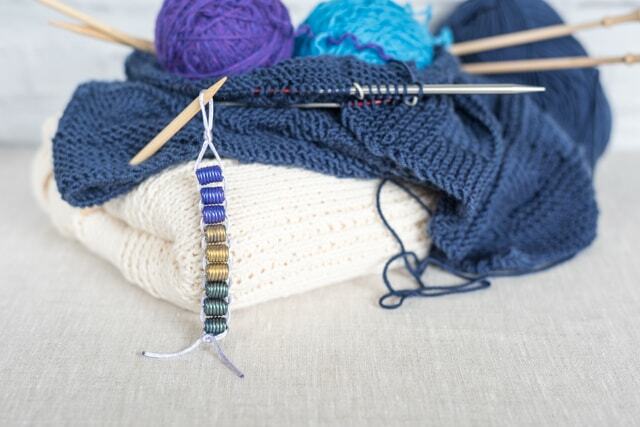 The loop doesn’t have to be huge, but make it large enough to easily slip over your favorite needles so you can easily carry your row counter along with your project, if you’d like. If you’re using a lobster clasp, string it it onto the cord and then make your knot/loop. And another, etc. Do not immediately tie off your cord once you’ve added the last bead! 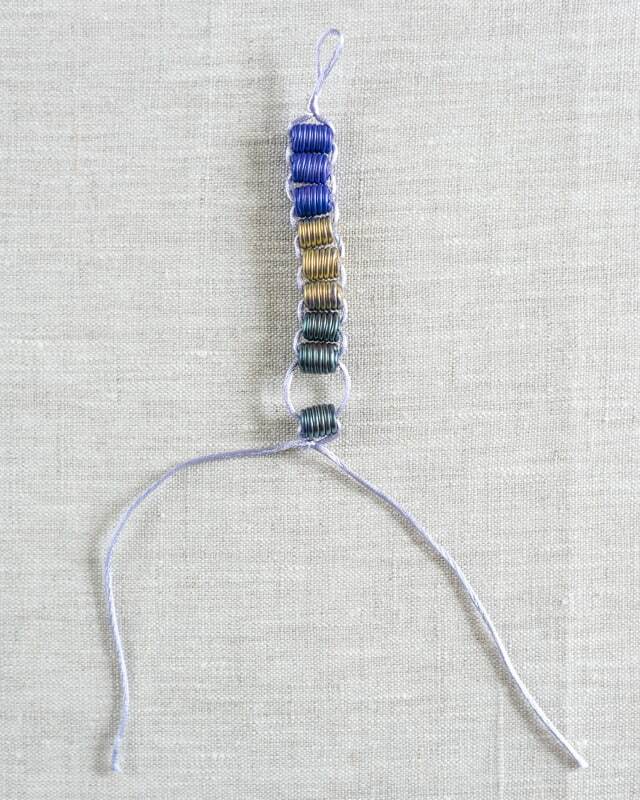 Instead, slide the final bead down a bit to create a gap. I like for the gap to be slightly wider than one bead. Knot off your cord with a square knot. You’ll probably need to hold the bead in place while you cinch down the knot to keep it from sliding up. Trim the ends, leaving at least an inch to help protect the knot, then singe the ends with a lighter if you’re using a synthetic cord. Use and enjoy your new row counter! The lovely, completed blanket on the bottom was a gift from my mom (who is a far better knitter than I will ever be!). 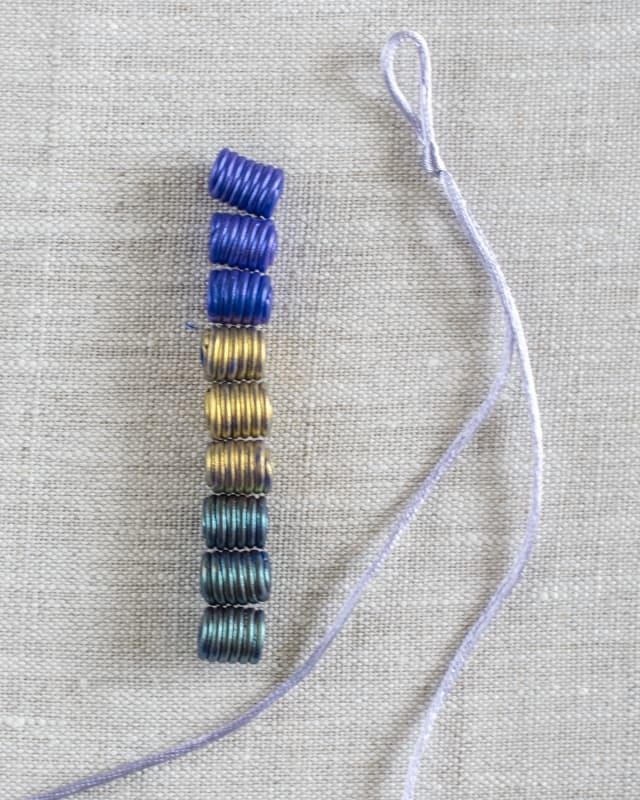 Speaking of gifts, this row counter could be a really nice handmade gift idea, especially if you’re a beader with a stash of lovely beads that need using! 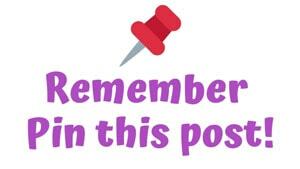 Remember to Pin this post now to your knitting or crochet board so you don’t lose track of it! Have you ever made a DIY version of something you could buy at the store just to avoid going out? 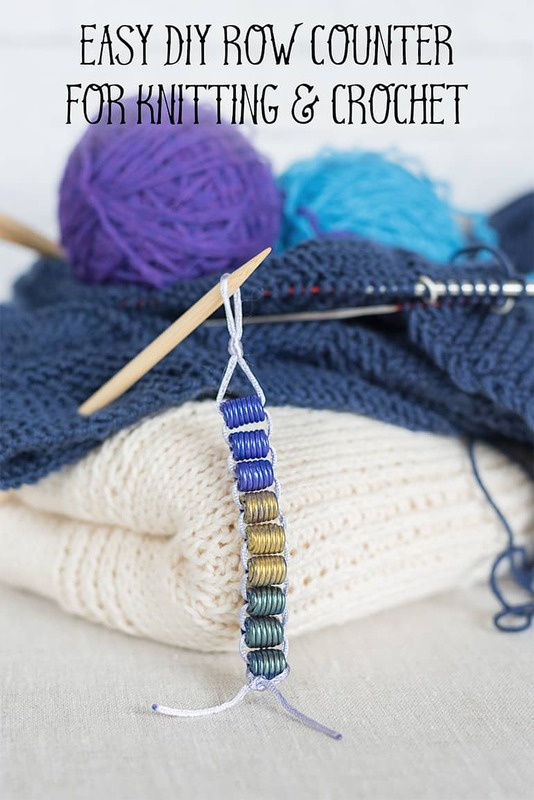 I am a very slow knitter – my projects take ages 😉 Your row counter is indispensable! The blankets are lovely! Thank you! I’m also quite slow, but have fun. My husband has been actively working to get faster and I think he’s a faster knitter than me now! 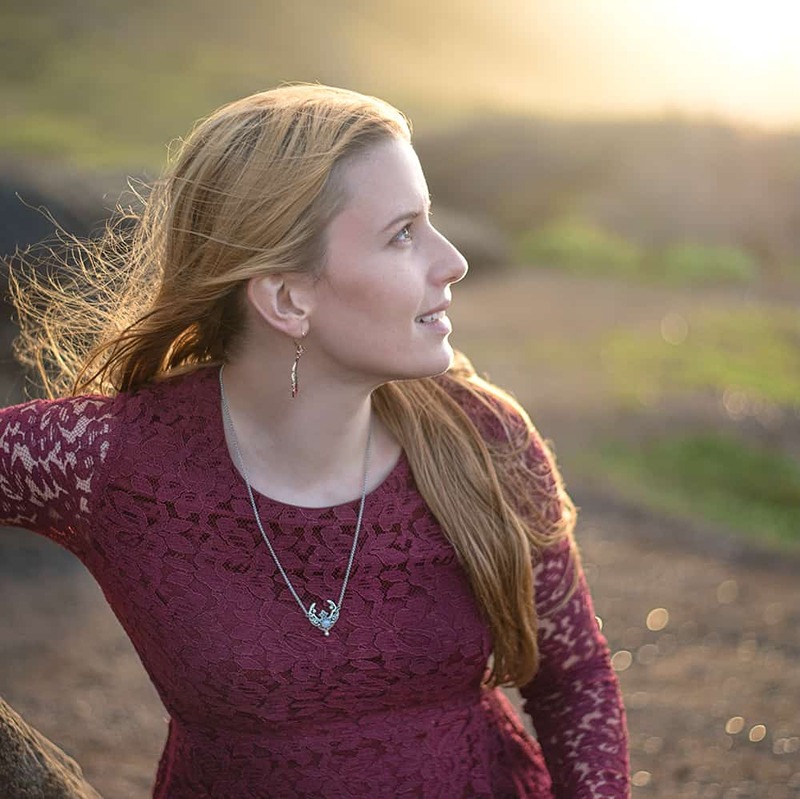 Next post: Welcome to our Family!